Taras is a writer for MetalMiner who operate the largest metals-related media site in the US according to third party ranking sites. 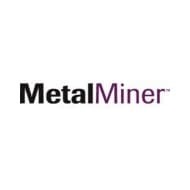 With a preemptive global perspective on the issues, trends, strategies, and trade policies that will impact how you source and/or trade metals and related metals services, MetalMiner provides unique insight, analysis, and tools for buyers, purchasing professionals, and everyone else for whom metals and their related markets matter. U.S. Now Net Fuel Exporter: Good News or Recessionary Rumblings? How Long Will Natural Gas Prices Stay Low? When is the Best Time to Buy Silver?